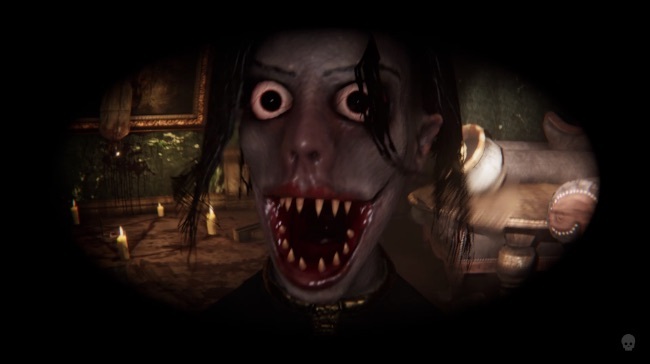 Escape the Ayuwoki is a freaky first person jump scare horror game where you attempt to escape from a mansion inhabited by a Creepypasta based ghoulish version of Michael Jackson. In Escape the Ayuwoki you need to search for a key that will allow you to escape from a big spooky mansion. However, an Ayuwoki stalks its halls – a Creepypasta monster that looks a lot like Michael Jackson and which got its name by condensing the lyric “Annie, are you okay”. Escape the Ayuwoki is very much a jump scare horror game, so won’t be for anyone, but is is a scary game and it has some great touches. The animation and character model of the Ayuwoki is very freaky and there are some fun environmental gags – such as a portrait that looks an awful lot like a ghoulish version of Macaulay Culkin in Home Alone. Well worth checking out if you’re looking for a thriller night and it’ll take some time to beat it.